A few days ago, I read in an online newspaper regarding using Whatsapp in medical field. I have to agree, and to admit, that doctors today can't be seperated from their Smartphone. They are not geek as what you pictured them to be, but it is essential. Communication among doctors have increase since this few years, thanks to Whatsapp, or any social messaging app, now referral can be made instantaneously with picture and many more information that you can't provide by using the classic telephone call. 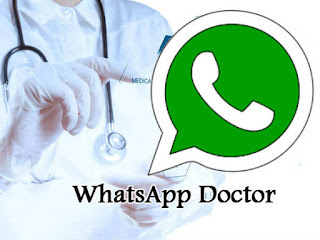 I have heard a few senior consultant or even doctor in administration, or the one handling medicolegal related issue, trying to stop the younger generation from using Whatsapp as a medium clinical communication, however, asking them to stop using it were like asking someone to stop using car or aeroplane to travel. The technology is nowhere to be stop. It has gone viral.